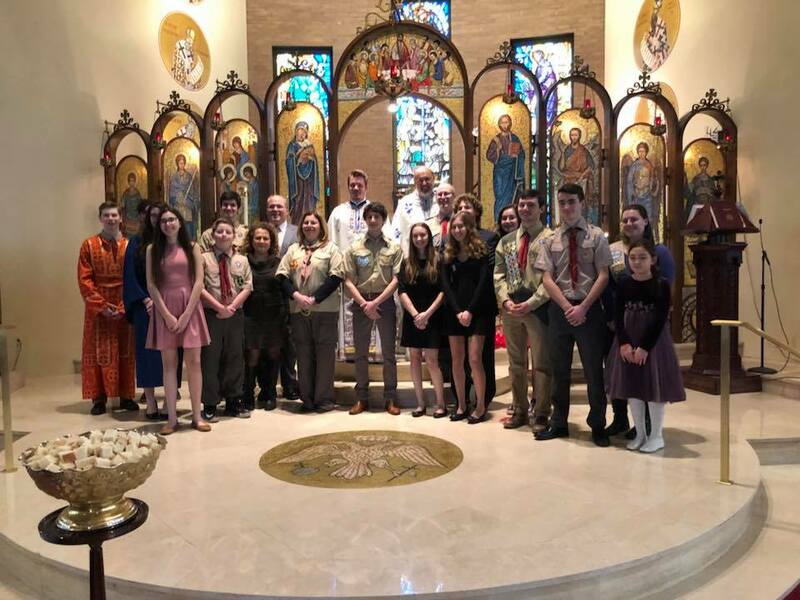 Scout Sunday 2018 was recognized at the conclusion of the Divine Liturgy this morning. The troop presented Frs. Nick and Patrick with this year’s commemorative patch. 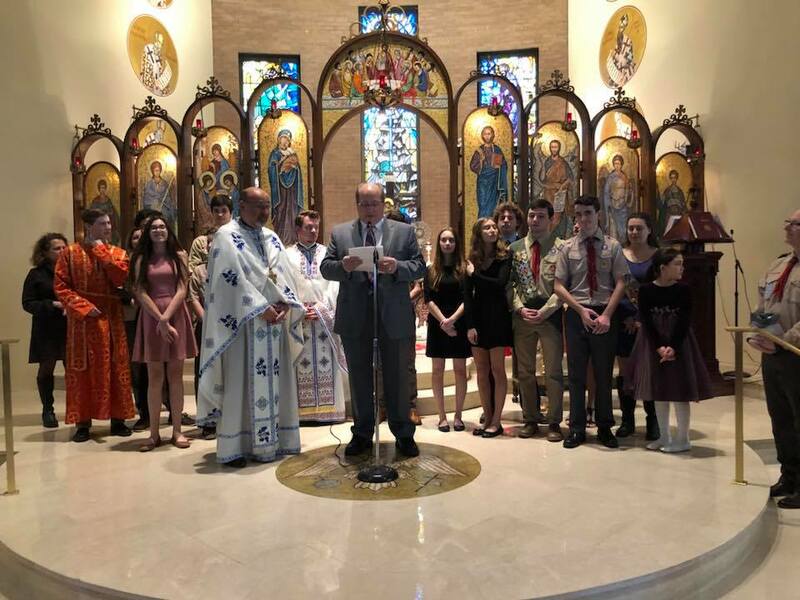 The celebration of Greek Letters by the Holy Trinity Greek School and Boy and Girl Scout's Sunday were observed this morning at the conclusion of the Divine Liturgy. Students and scouts are pictured with Fr. Nick. As part of his Eagle Scout project, Rob Farage (center) has taken on the beautification of the church grounds. Pictured with Rob are Andrew Breazna (left) and Alex Mulder. They stand under our bell tower sculpture and at the foot of the original church corner stone.